For those who readily have an extra $4500 available every year, after they've paid their taxes, this increase would be an attractive future tax break. But is a higher limit fair to taxpayers across the board? The answer to that question depends on how many taxpayers at various wealth levels will be able to benefit from the higher contributions. 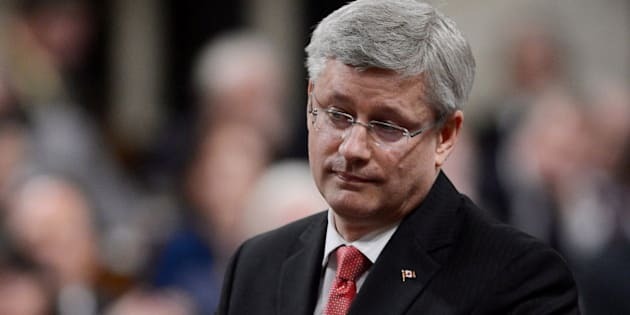 At a time when the Canadian economy is sputtering -- with virtually no growth, weak job creation, poor job quality, large trade deficits, record household debt, and low confidence levels -- governments need to be careful in their policy choices. What will best drive jobs and growth, and provide the most help to the largest number of those who really need help the most? Growth and fairness must be prime objectives. One policy choice made by the Harper government is to increase the annual limit on contributions to "tax fee savings accounts" (TFSAs). Created in 2009, TFSAs currently allow taxpayers to deposit up to $5500 in after-tax money every year in a designated account, which will grow over time on a tax-free basis. Mr. Harper is nearly doubling the annual contribution maximum to make it $10,000. According to the government's calculations, this will cost the federal treasury several hundreds of millions of dollars over the next five years, and some tens of billions of dollars over the longer-term. It will also reduce provincial government revenues. At $5500/year, the benefits of TFSAs are generally accessible to a broad cross-section of taxpayers. But on the incremental amount up to $10,000 -- not so much. Following a detailed review of this program last winter, the Parliamentary Budget Officer (PBO) said: "TFSA benefits, currently balanced across wealth groups, will become increasingly skewed toward high-wealth households over time." After the recent budget, he said: "The contribution limit increases proposed in Budget 2015 would accentuate these distributional disparities." In 2013, over 28-million Canadians were eligible to have a TFSA. About 10.7-million did so. That's a participation rate of just under 38 per cent. Of those who participated, only 1.9-million contributed the maximum. That's less than 18 per cent of those who had a TFSA and, more importantly, a very small 6.7 per cent of those who were eligible to have one. Doubling the annual maximum does nothing for the 93.3 per cent of Canadians who cannot max-out their TFSA contributions at the existing limit of $5500/year. Significantly, the number of taxpayers who are able to maximize their annual contributions has been dropping steadily since this program's inception. At 1.9-million in 2013, it is down 39 per cent from five years earlier. To look at it another way, in 2009 more than 64 per cent of TFSA-holders maxed-out. In 2013, fewer than 18 per cent did. It's important to note that any "unused" room to make a contribution to a TFSA in any one year can be carried forward to future years. It accumulates. CRA figures show that the average TFSA is carrying more than $13,500 in unused, available room - within existing limits. Strengthening investments in public infrastructure to drive better jobs and growth immediately, while also laying a solid foundation for a more productive, competitive and prosperous economy for years to come. The Harper government frequently tries to concoct an argument that doubling TFSA limits would be especially helpful to Canadians earning up to $60,000 because these are the people who regularly max-out every year. Or so the Conservatives claim. But as my Liberal MP colleague (and statistics expert) Ted Hsu recently pointed out, the issue is NOT how many of those who max-out their TFSAs have incomes of $60,000 or less. The crucial question is the other way around -- how many people earning $60,000 or less are actually maxing out their TFSAs? The answer is about five per cent. As income levels rise, a larger proportion are able to contribute the maximum. This demonstrates the skew toward higher wealth (as reported by the PBO). Given only mediocre improvements in median family incomes over the past many years and the explosion in household debt, it's just not realistic to expect many middle-class families will have an extra $10,000 lying around every year, after taxes, to enable them to fill up a higher TFSA contribution maximum. There are greater, more beneficial priorities to be tackled more urgently.